The Hokies signed one of their best o-line classes ever. The 3,700-word, 19-play film breakdown of all that beef. Over the last decade, the Virginia Tech offensive line has been generally regarded by most fans as the program's weakest position group. Offensive line coach Vance Vice inherited a steady veteran group in 2016. That group of holdovers featured a wide variation of body types, technique strengths and weaknesses, and personalities. 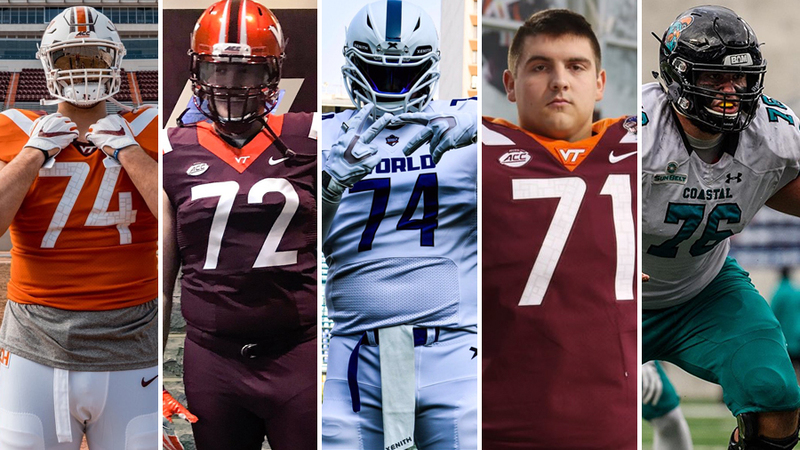 With the Hokies' less than sterling reputation for offensive line play on the recruiting circuit, Vice initially targeted project prospects who fit a particular template. He prioritized length and mobile feet and relied on strength and conditioning to build physical strength and attitude. Meanwhile, Vice focused on elevating the quality of recruiting at the position.